I’m from Minnesota and I’m human so Target is basically my favorite place on earth (sorry Disney). It’s where I like to spend all my free time… Break from the baby? Target. Need groceries? Target. Need to destress? Target. Need to save money? NOT Target. Seriously, I have left there without purchasing anything maybe once in my life and it was one of my greatest accomplishments. Now, their bringing in all these new brands like Hearth and Hand with Magnolia Home, a new day, and Goodfellow which makes it even harder to stick to the list. 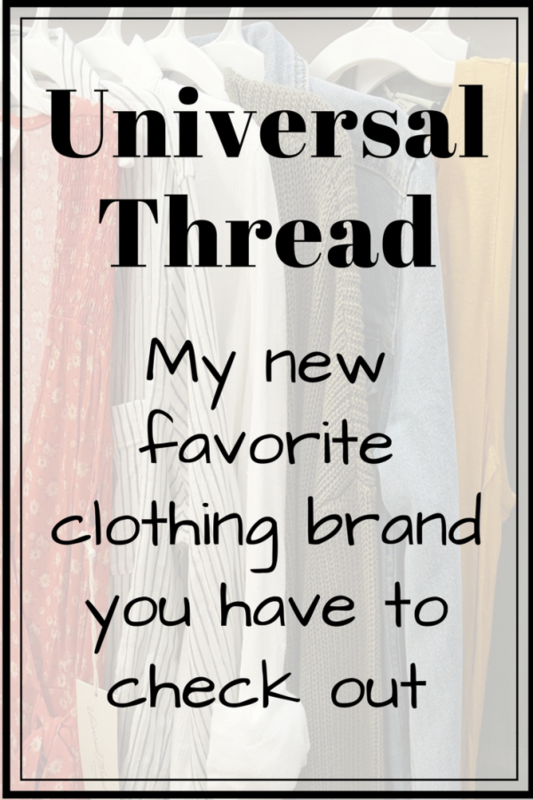 Their newest collection, Universal Thread, is my new favorite clothing brand that you have to try! The tan booties I’m wearing in every photo are also Universal Thread and I LOVE them. So comfortable, love the height and detail, the color is perfect for almost any outfit, and they run true to size. 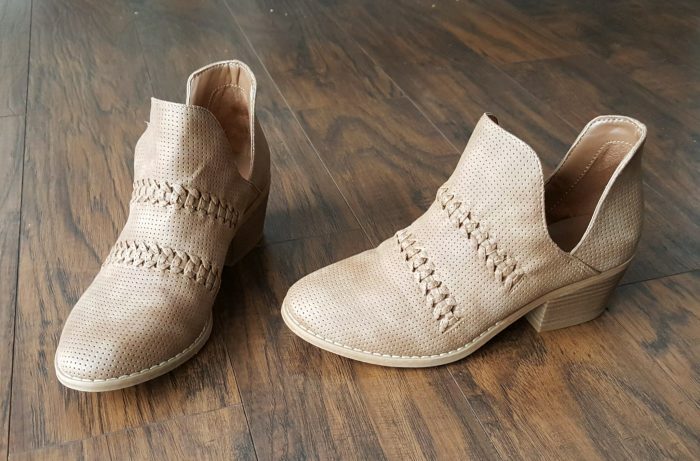 My phone died so I didn’t get photos of these but I love these cutout booties and these are the cutest peep toe booties ever and they will be perfect for spring. I also LOVE these mules and these slide sneakers. So many good shoes in this collection. You can shop them all here. 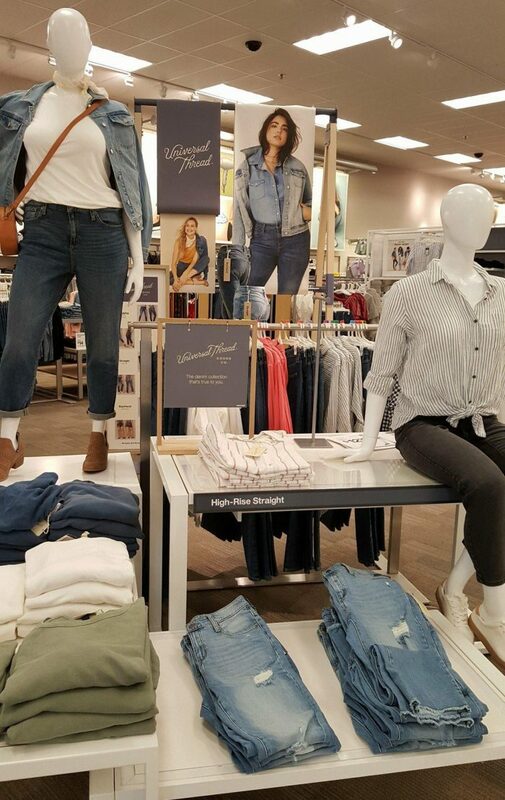 One of Universal Denim’s main focuses is denim. 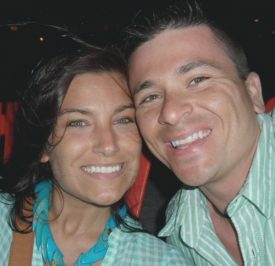 Jeans, shirts, jackets, dresses, and they do it well. All the jeans I tried were amazing. 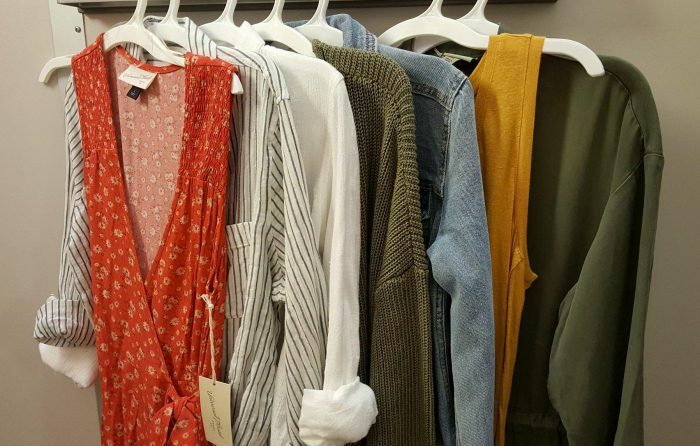 Great fit, super cute styles, modern washes, and seriously affordable. 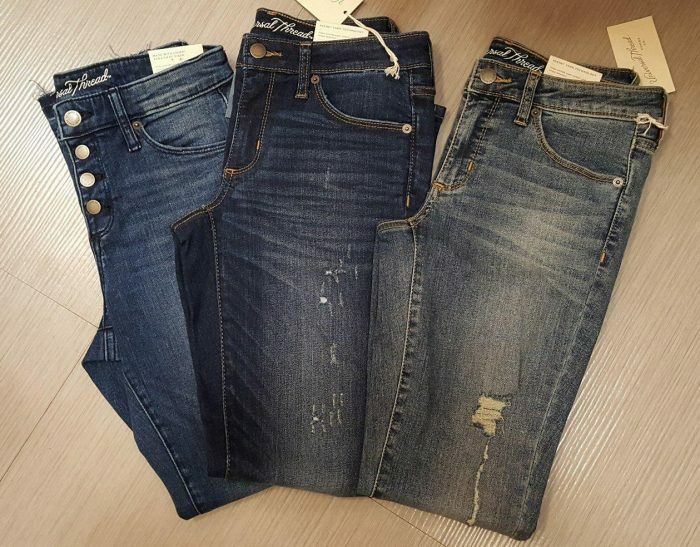 The jeans fit true to size however they didn’t a lot of sizes in-store yet so you might need to order online. Since they didn’t have my size in everything I wanted to try I sized up one size in a few things. 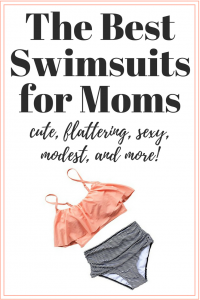 They do fit true to size but they are definitely flexible so you could size up 1 size for a more relaxed fit and they won’t feel like they are falling down. I Loved these 3 pairs see them on in the photos below. These are the Left pair in the first photo. They are button fly jeans with a released hem and no distressing. Super cute and I’ll probably end up purchasing them but they didn’t have my size in-store. I’m wearing one size up in this photo but I would order my normal size. This green sweater is so cozy. 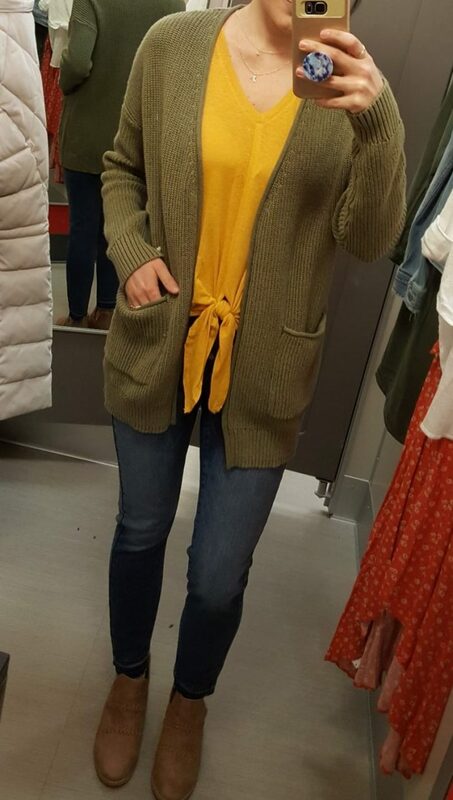 Really great quality, the perfect green to go with everything, a great loose fit without being oversized, and it’s so affordable. I took this in my regular size small. 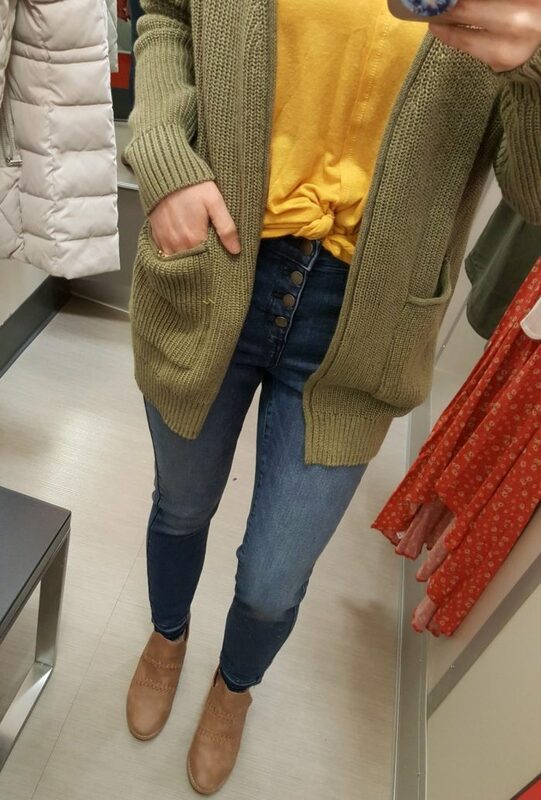 The mustard tie tank has a super cute on-trend tie in the front that can also be tucked up to give the knotted look (and to show off the cute button fly on these jeans!) I took this home in my regular size small. Next is the middle pair in the first photo. They are dark wash jeans with minimal distressing. They’re a really nice option when you want a little trend without going crazy on the rips and holes. I really like the concept of this white tie shirt. 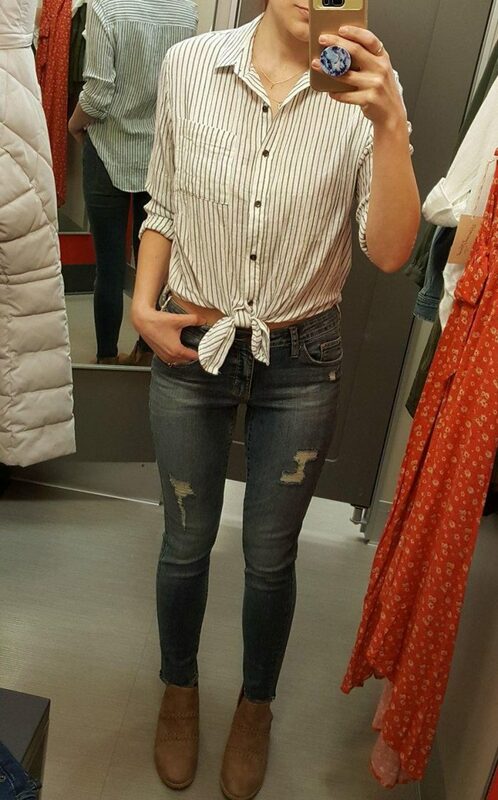 I feel it fits a bit oversized, this is a small, and the one in the picture below is a different color but the same shirt in an XS and I prefer the fit on that one. 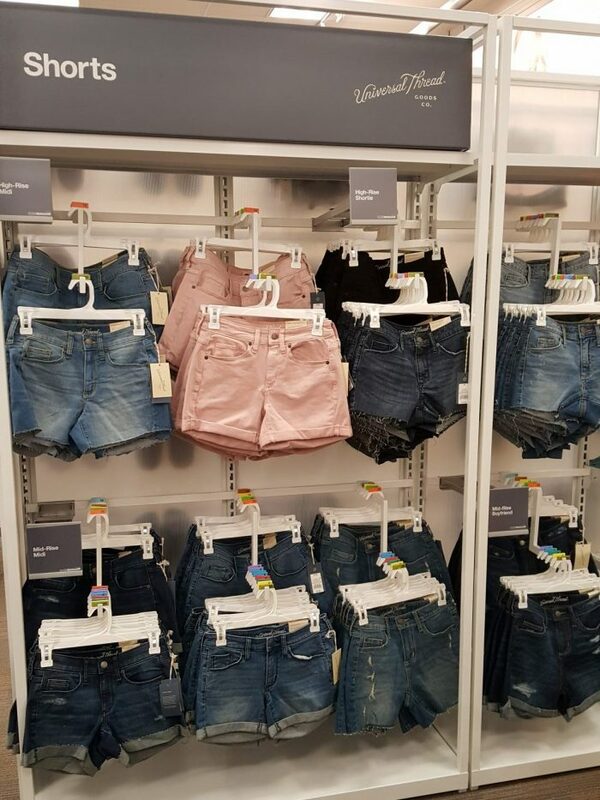 If you’re between sizes, definitely size down. So get the right size and this would be the perfect top for the rest of winter, spring, and into summer. Great for layering and would look so, so cute with some distressed shorts and footbed sandals! Oh my gosh, I can’t wait for spring! These are the right pair in the first photo and they are basically my spirit animal. These jeans are the best thing I’ve worn in a long time. I mean, they are just so good. 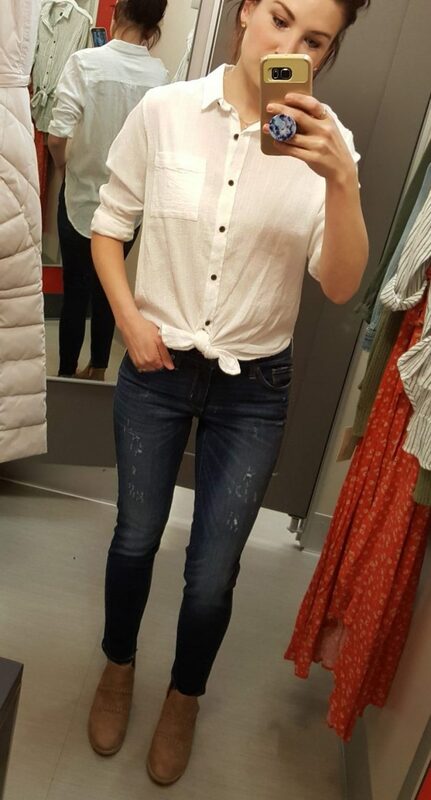 They’re the perfect medium wash jeans, nice whisker details around the pockets, good sturdy distressing that won’t turn into holes instantly, perfect length (I’m 5’6″) and a cute raw hem. Just so good. LOVE. Took these home in my normal size. The striped tie top is the same style as the white one above but one size smaller (XS). I love the stripe and I prefer the fit on this one. The tie is adjustable and after the photo, I did try tying it a little longer and it looked great that way as well. So what I’m saying is, you don’t need to have your tummy showing if you don’t want to. I’d say this top runs oversized so order according to the fit you like. ** You can also wear this shirt un-tied you’ll just need to iron it. Super versatile! Last but not least is this amazing red dress and denim jacket. I saw both of these online and knew I had to try them. The dress is sleeveless which I love. I found a similar red dress from Gap but I didn’t love the long sleeves for summer. 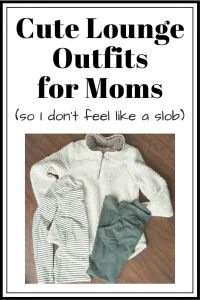 This one is perfect and can be worn almost all year just by layering pieces over it and changing up the shoes. 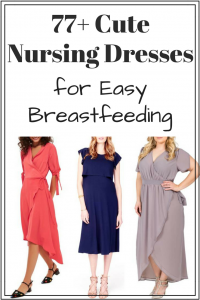 It is a true wrap dress so the neckline is pretty low. Being full busted and modest, I will need to pin this just a bit higher to feel comfortable but it’s just so pretty. The print is so sweet but the red color is a bit sassy and I just love that pop. This runs true to size but is a bit flexible since it’s a wrap dress. This light denim jacket comes in multiple washes and is a really good classic, basic, jean jacket. I am wearing a small and I feel it’s a little big. I didn’t bring this home because I was on a time crunch and I think I need to try an XS. Depending on how you want this to fit I would say true to size or slightly large. You might want to size down 1 size. I’ve been in the market for a new denim jacket so I’ll report back once I try it in a smaller size. Here are some other photos of the collection in-store. Shop everything online including tons of colors, size ranges, and even adaptive clothing with is awesome. They seriously are the best. Just love you Target! What are your favorites from Universal Thread?